At some point in time I almost got excited yet depressed waiting for the next The Maze Runner book: The Fever Code. I was so fired up that I created my own fan-made cover just to fill in the void. Now I am just happy to know that there are solid updates on said book. For one there is the official cover and it's almost the same theme with the one I created. The only difference is the color scheme, where the original leaned on the yellowish. For another we already get the official synopsis, and to the joy of any fan: the official release date has also been set! 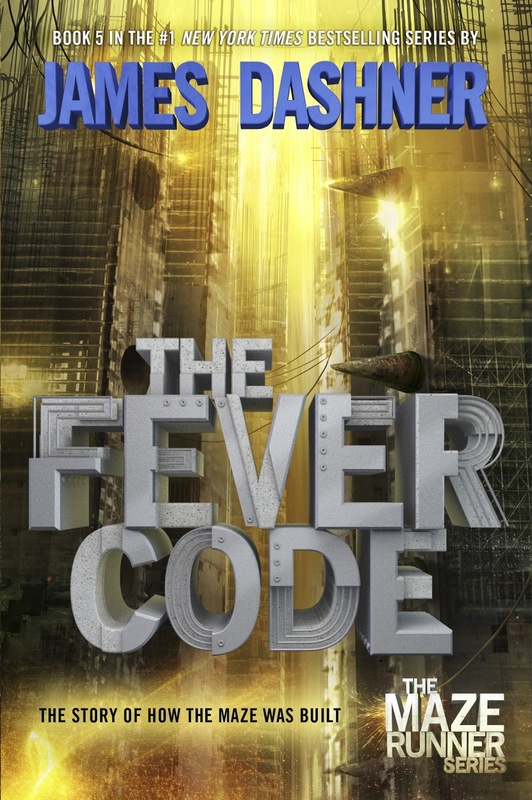 Check out the cover of The Fever Code by James Dashner. All will be revealed in this jaw-dropping prequel to James Dashner’s #1 New York Times bestselling Maze Runner series. This is the story that fans all over the world have been waiting for—the story of how Thomas and WICKED built the Maze. You will not want to miss it. A prequel to the worldwide Maze Runner phenomenon, The Fever Code is the book that holds all the answers. How did WICKED find the Gladers? Who are Group B? And what side are Thomas and Teresa really on? Lies will be exposed. Secrets will be uncovered. Loyalties will be proven. Fans will never see the truth coming. Don’t miss The Maze Runner and Maze Runner: The Scorch Trials, now major motion pictures from Twentieth Century Fox, starring Dylan O’Brien, Kaya Scodelario, Thomas Brodie-Sangster, Rosa Salazar, Giancarlo Esposito, and Aidan Gillen. And look for James Dashner’s new bestselling series the Mortality Doctrine: The Eye of Minds, The Rule of Thoughts, and The Game of Lives. The Fever Code by James Dashner will be released on September 27, 2016.